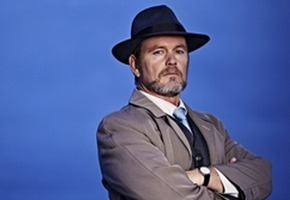 EXCLUSIVE: He’s played the extremes of Doctor Blake to Rocky Horror’s Frank N. Furter in the same year, but Craig McLachlan wasn’t able to return as Henry Ramsay for Neighbours‘ 30th Anniversary episodes. “To be honest I really wanted to do something. I really wanted to be a part of it somehow, then we realised it wasn’t going to work to do an episode,” he told TV Tonight. “In a perfect world I would have loved to have shaved the beard off, not let the whiskers fallen onto the floor, but gather them up and tie them to the back of my short hair to create something mullet-ish. “I would have loved to have grabbed Henry’s overalls and done something! But McLachlan still found a way to show his gratitude to the show that ignited his TV career. He will appear in the Special with former and current cast members. “Before a gazillion Neighbours and Henry fans abuse me and start sending horrendous ‘trolly’ tweets, we did manage to shoot something for the special,” he teased. So a video message then? “No, it’s more than that. I took a precious weekend out and we grabbed a camera crew and went and did some fun stuff. The special will air next March on TEN. Hey, the 30th is all year long, there’s still time for more. Right Craig? Craig McLachlan wearing overalls with no shirt underneath was a thing of beauty. Add a gorgeous curly blonde mullet, and there’s an iconic Australian moment-in-time for you. And for once, my comment isn’t intended to be tongue-in-cheek. I agree that it would be nice if “Henry” returns to the show. But with Craig appearing in the special is better than nothing, I guess. The sneak peak of Neighbours 2015 looked awesome at the end of the finale. I would’ve loved to see Henry back in “Neighbours”. Maybe at some other time??? Hopefully the ‘fun’ stuff includes him singing Mona.